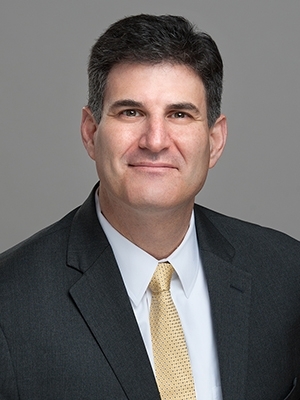 Kenneth E. Rubinstein practices as a Director in the firm's Boston, Massachusetts and Concord, New Hampshire offices and is co-chair of the firm's Construction Law group, and a member of the firm's Litigation and Professional Liability groups. Ken regularly represents public and private clients, as well as insurance companies and their insureds, in complex commercial disputes, with an emphasis on matters involving construction issues and financial professionals. Ken has practical industry experience in both the construction and financial services industries, having worked at a Manhattan construction management firm and at "Big 6" accounting firm, Arthur Andersen, LLP, before beginning his practice as a civil trial lawyer. Prior to joining Preti Flaherty, Ken was an Officer at a New England regional law firm. Ken is a member of the American Arbitration Association's Panel of Construction Arbitrators and was one of the founding co-chairs of the Construction Law Committee of the Massachusetts Bar Association. Ken has chaired or presented programs for the ENR Risk & Compliance Summit, the Construction SuperConference, the American Council of Engineering Companies (Annual Conference and Fall Convention), Build Boston, Architecture Boston Expo, the Professional Liability Underwriting Society (Annual International Conference), the Associated General Contractors of Massachusetts, the Associated General Contractors of New Hampshire, Associated Builders and Contractor of New Hampshire, Massachusetts Bar Association, Suffolk University Law School, National Business Institute, Sterling Educational Services, Half Moon Seminars, and Lorman Seminars. Ken is also a member of the Massachusetts Bar Association Civil Litigation Section Council and the Boston University School of Law Alumni Executive Committee. Ken assisted the Associated General Contractors of New Hampshire in drafting and supporting the organization's proposed legislation to overhaul New Hampshire's mechanics lien law. Ken has received regional and national awards for his work representing construction companies and financial professionals. Ken was named one of the nation's Top 75 Most Influential Professionals in the Collection Industry by The Collector Magazine (the official publication of the Association of Credit and Collection Professionals), and has been listed in Best Lawyers in America and SuperLawyers. Earlier in Ken's career, he was selected as one of Engineering News-Record's (ENR) Top Construction Professionals Under 40 in New England, and one of 15 "Up & Coming Lawyers" by Massachusetts Lawyers Weekly.